I love your timber work, but living in Western Australia, I’ll have to book a holiday some time to come and have a look. I am building a skillion roof patio as part of a large outdoor living area. This will be mostly Cypress Pine. I’m using 16″ to 20″ logs as my posts 10 in total. I’m using 8″ x 3″ beams and 6″ x 2″ rafters. Would you have a photo or two of your favorite connections for this type joint? I just can’t seem to find much on the net. Anything you could send, even a drawing, would be appreciated. 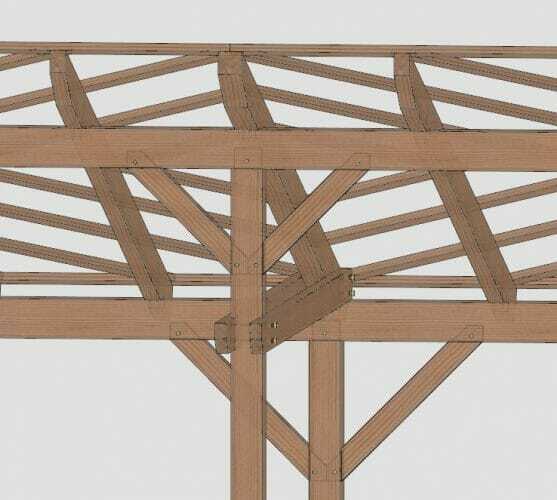 There are (2) carrying beams that run into/out of the page, and the rafters are simply set on to those beams with a typical birds mouth connection. They are then attached with (2) ¼” timber screws, maintaining at least 3” embedment the carrying beam underneath. The horizontal members are (2) 3x ties that lay on either side of the post and rafter, and are simply through-bolted with all-thread. 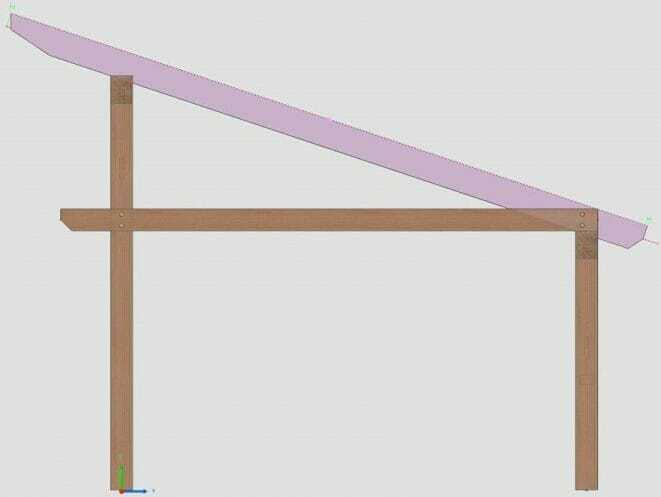 The post is usually notched to accept the varying widths of the rafter and the post (often 6”, 8” respectively) and maintain a straight, square tie. Hope this helps, good luck with your design!